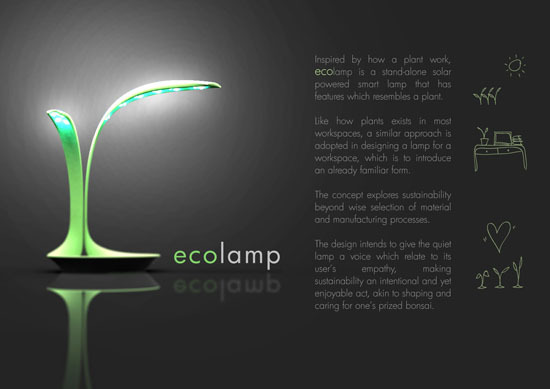 Saving on energy while achieving elegant design will be a wish granted with the Eco-lamp design. 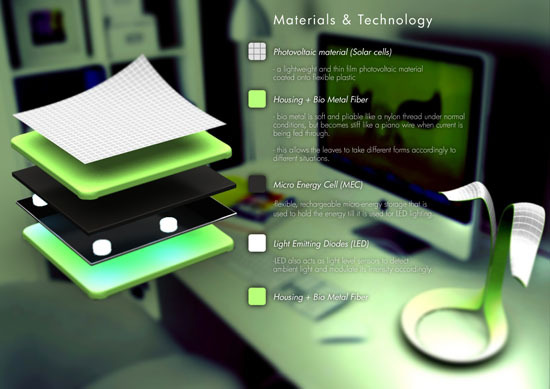 This sustainable lighting system design features photovoltaic cells, which we all know collects sunlight and convert it into useful energy for the lamp to function. The lamp also has the infrared sensor, which will prompts when a user is coming and the lamp turns on and turns off when a user is away. One can also turn it off by facing the lamp away. 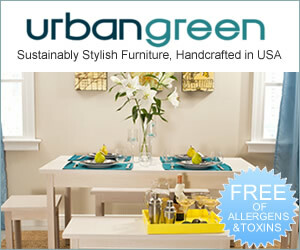 On the other hand, if one decided to leave the lamp turned on, an object must be place on its base ring. This mechanism will not only let the users save on energy but will also educate them on the proper usage of lamp and will eventually help save the environment. 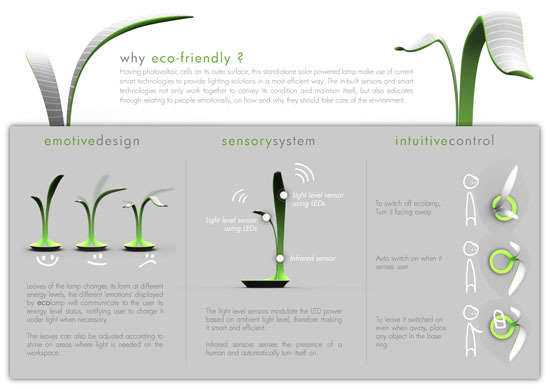 Other than that, the Eco-lamp design also uses LED lighting technology, which we all know is a huge and effective energy saver.